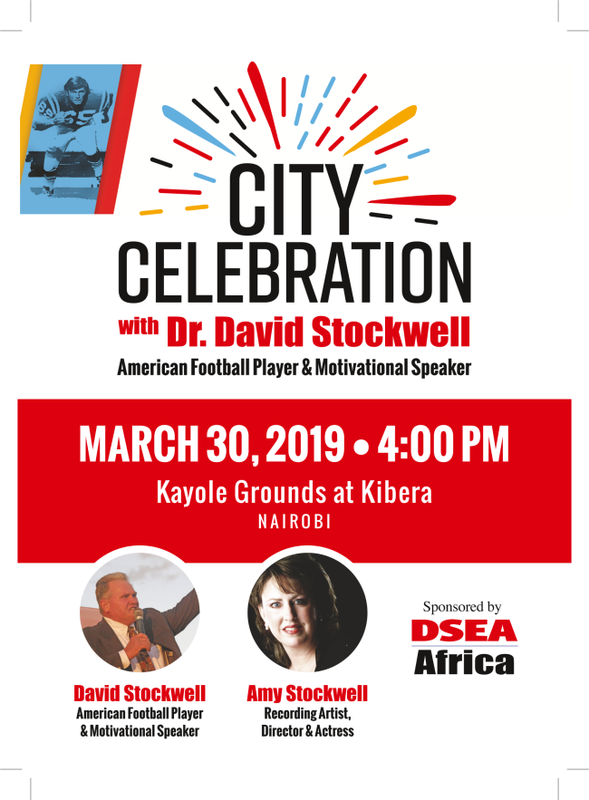 We are excited about our upcoming mission in Nairobi, Kenya, March 19-April 1! 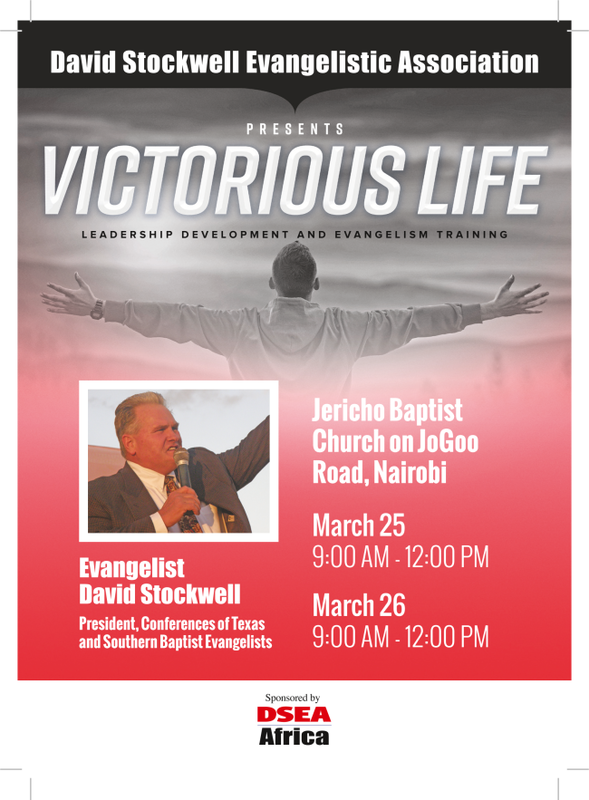 We will have great opportunities to minister through our Victorious Life Training Conference, encouraging and developing our NEST (National Evangelist Support Team) partners, through our David Stockwell Speaks Out school ministry to thousands of high school students across Nairobi; we'll also preach in a local prison, and minister through our CityCelebration outreach event in Kibera, the largest slum in Africa, where more than one million people live. It will be a great joy to bring along another young evangelist, whom we are mentoring, Ben Schulz, a Texas A&M graduate. 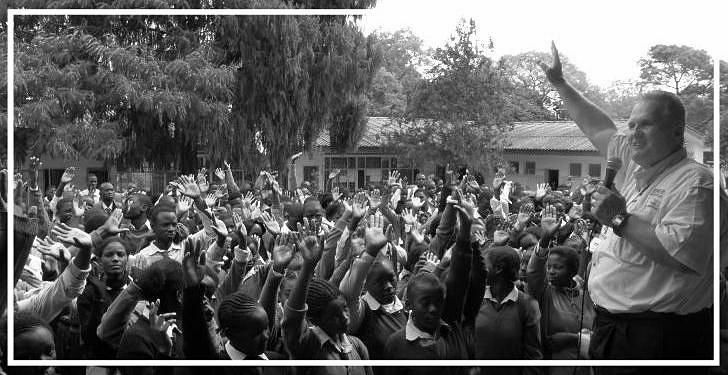 Pray with us that God will touch the hearts of the thousands of people who will hear a clear presentation of the Gospel! We are honored and humbled that we get to go share the wonderful Good News of Christ with a lost and dying world. He brings rest to the weary; hope to the hopeless! Jesus is Lord!